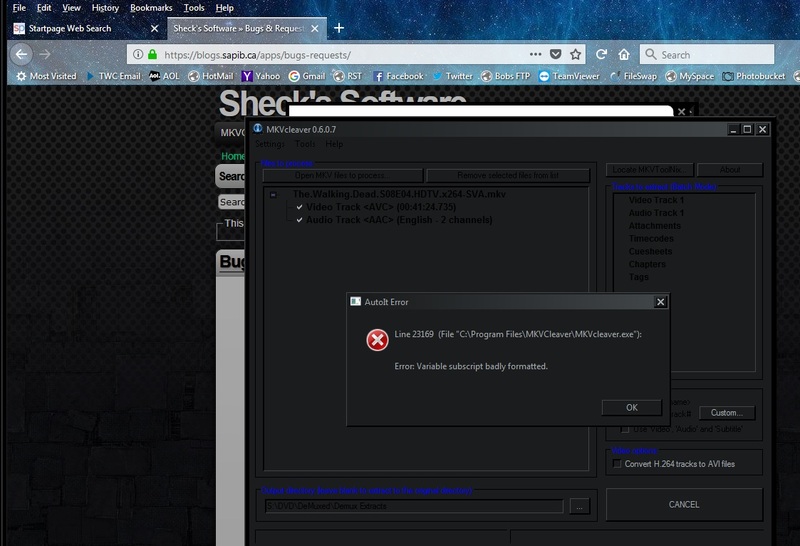 Sheck's Software » Error:Variable Subscript badly formatted. Home » Bugs » Error:Variable Subscript badly formatted. No matter whether I use the left or right pane in the program window I get the same error message. It should work now. I will release a fix in a few days. This was causes by the update URL returning an error which MKVCleaver was not able to parse.